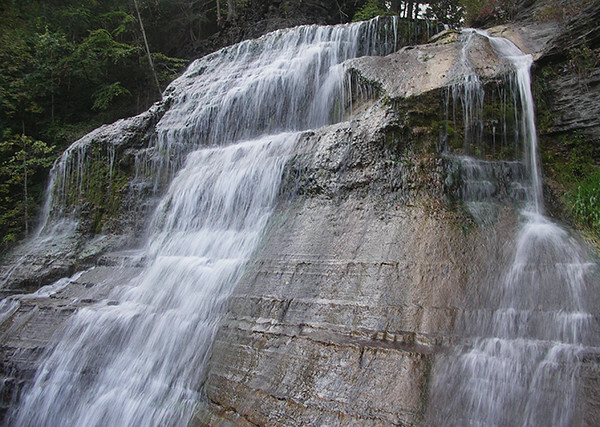 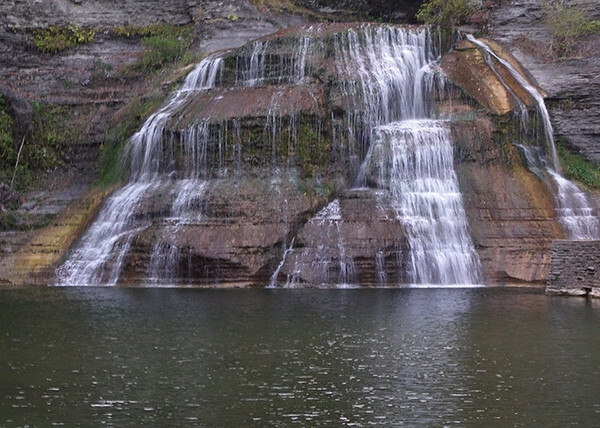 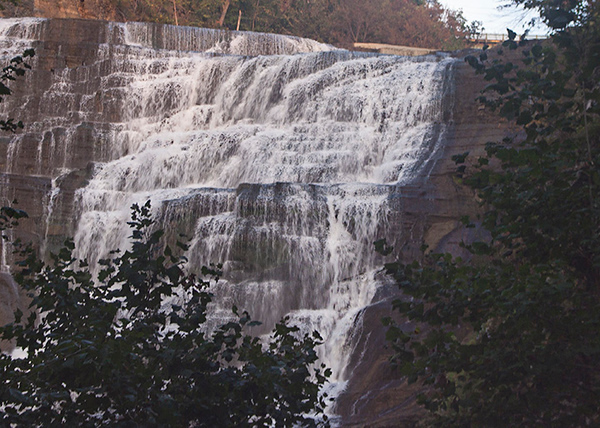 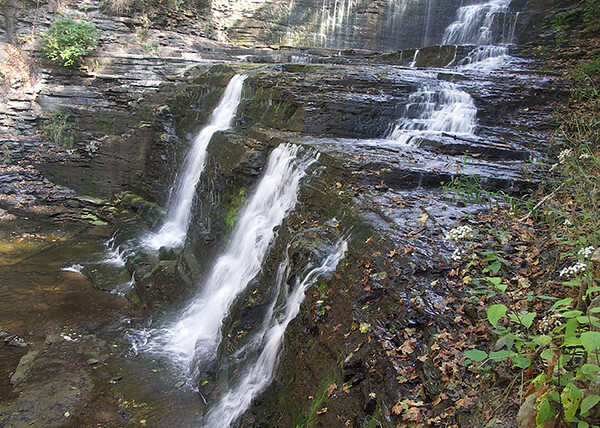 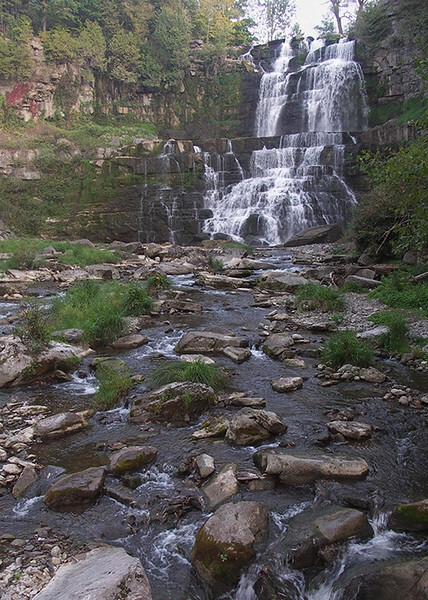 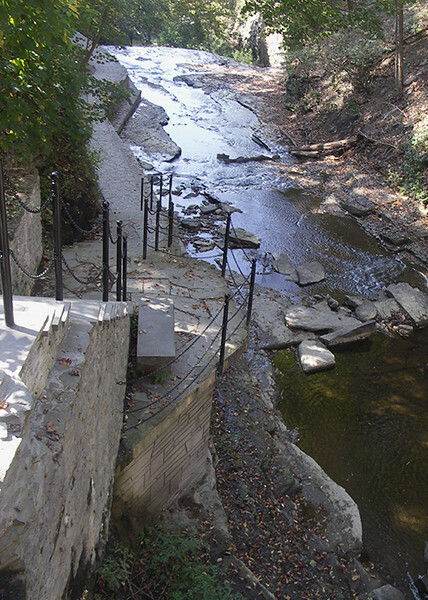 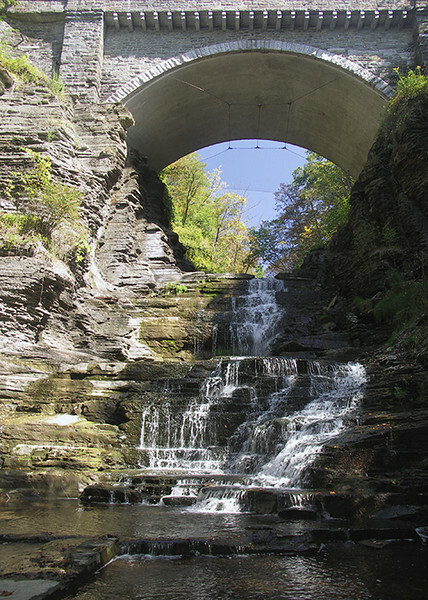 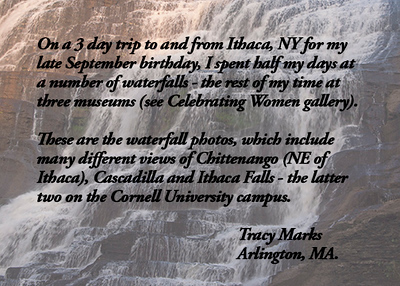 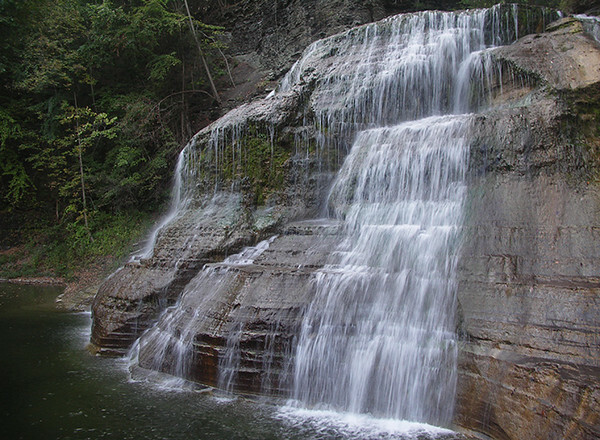 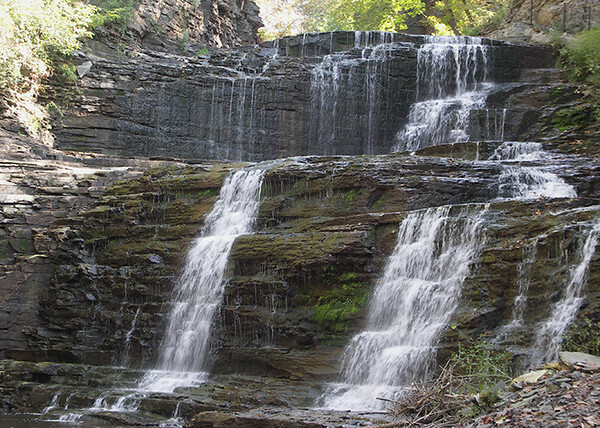 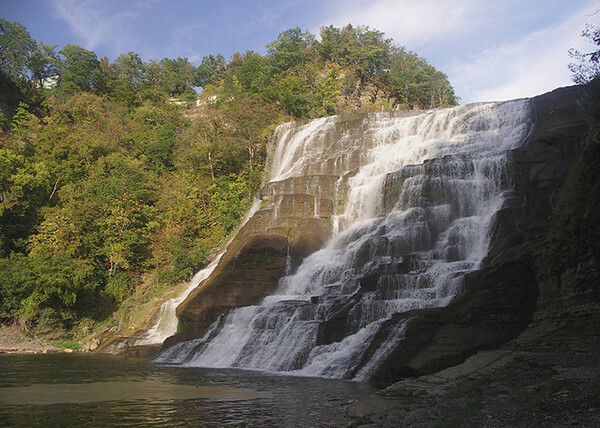 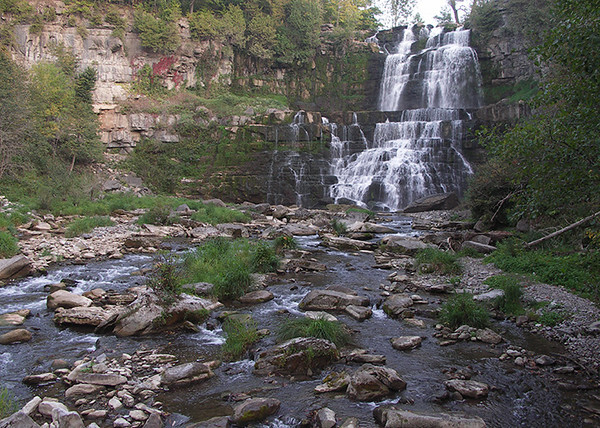 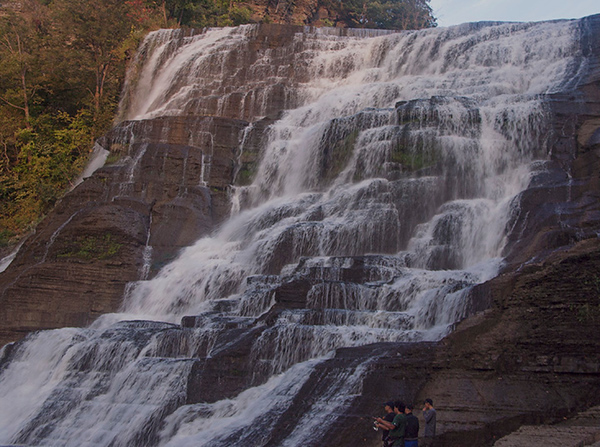 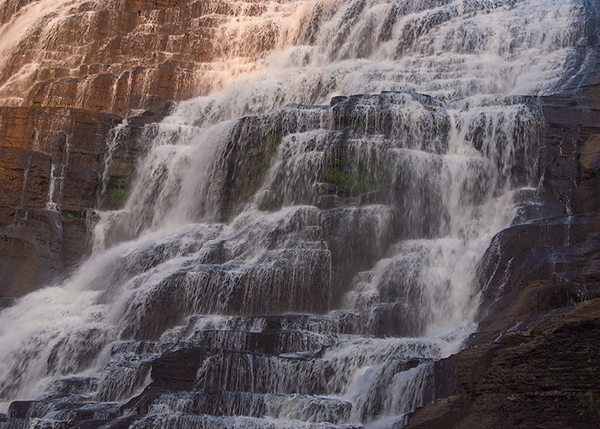 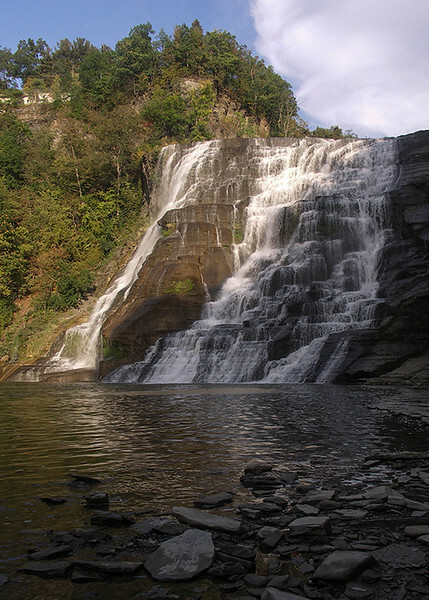 There are than half a dozen waterfalls in Cascadilla gorge on the Cornell campus. 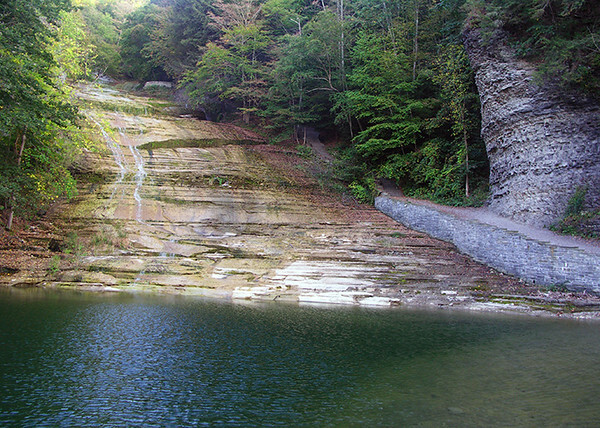 Because of the steep steps that descended for over a mile in the Gorge, I only visited a few of the waterfalls. 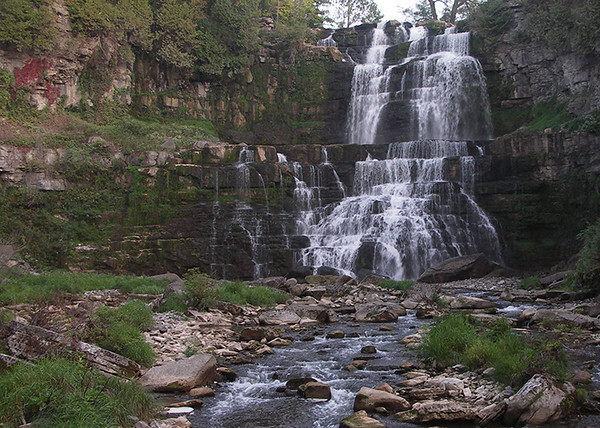 One of several waterfalls known as Cascadilla Falls. 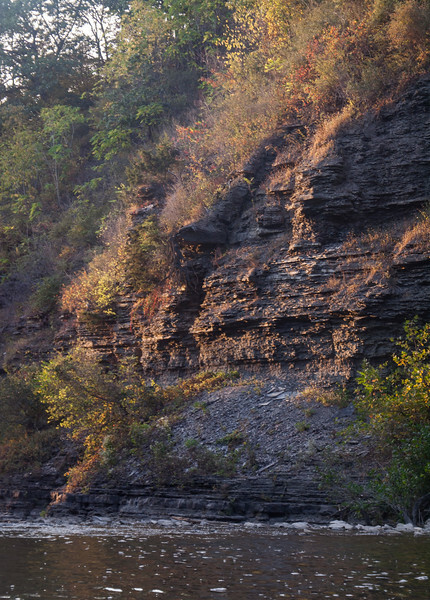 Fall foliage was late but the cliffs by the falls reflected color in the sunlight. 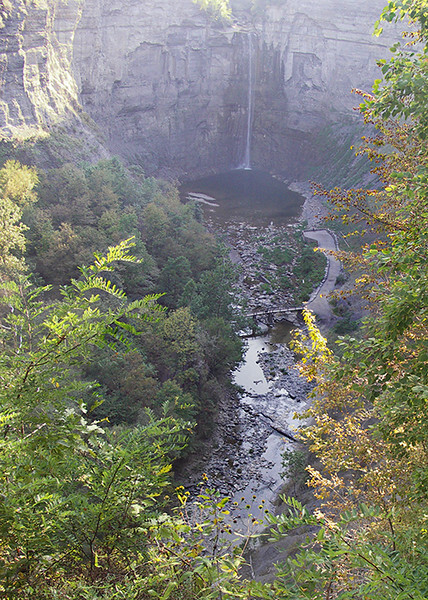 Ithaca Falls is immediately north of the Cornell campus and fortunately, only a very brief walk - no difficult uphill or downhill stretches. 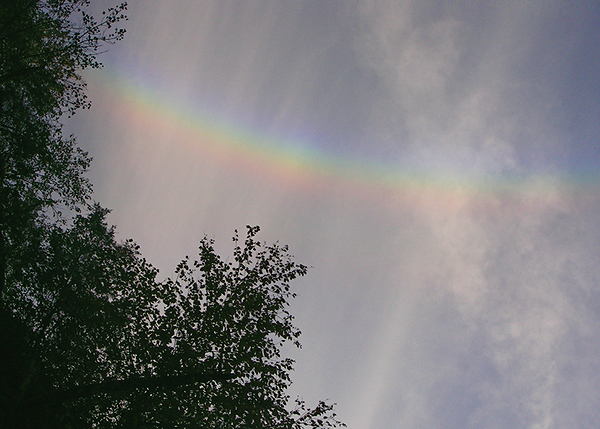 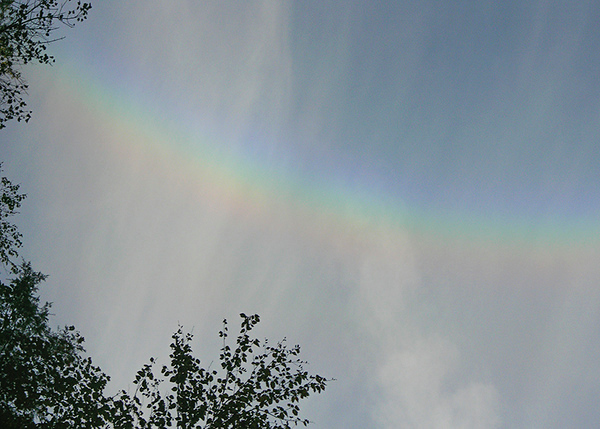 I was thrilled to see a rainbow in the sky near the Falls, although there had not been any rain. 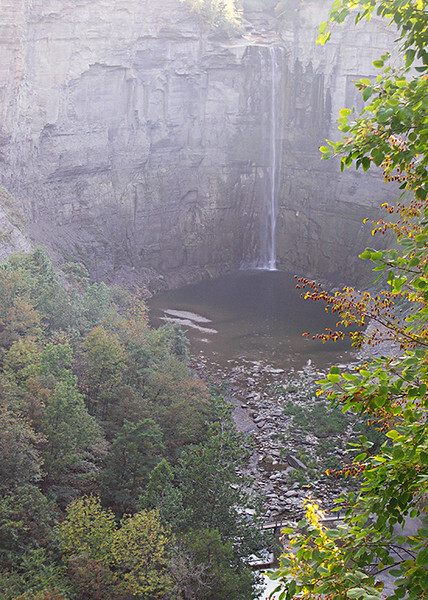 Just mist! 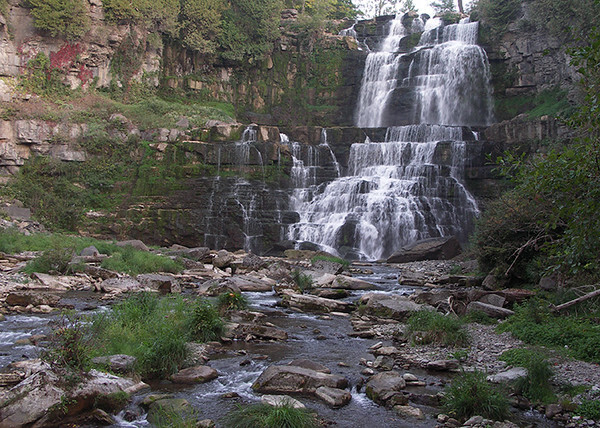 I did not hike to Taughanock Falls but was able to view it from a distance, unfortunately facing the sun! 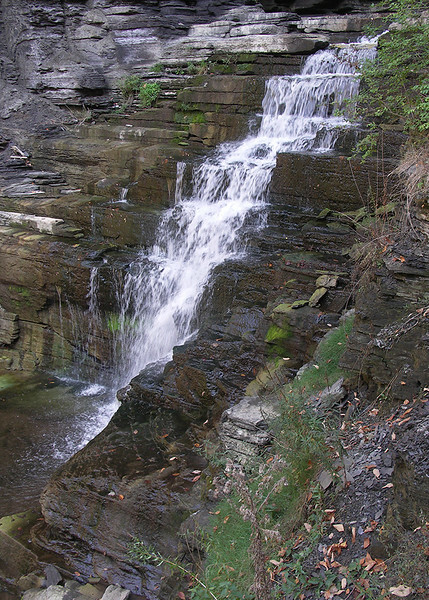 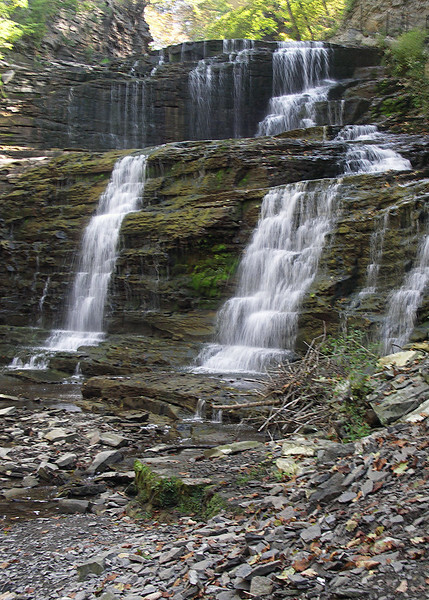 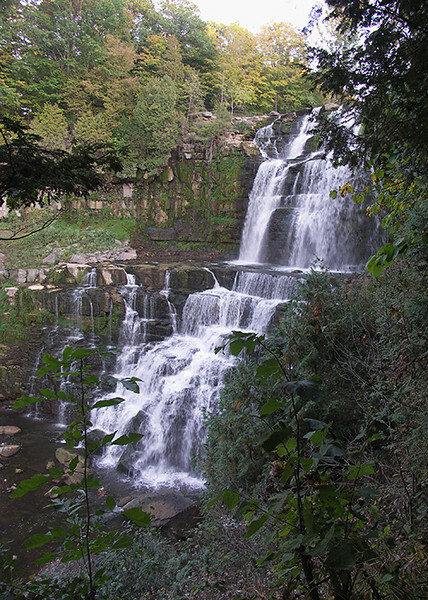 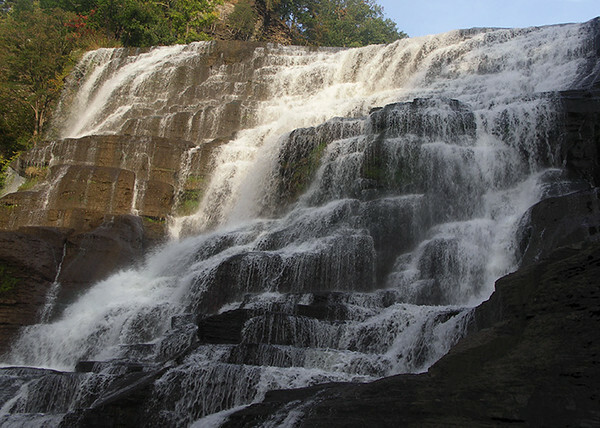 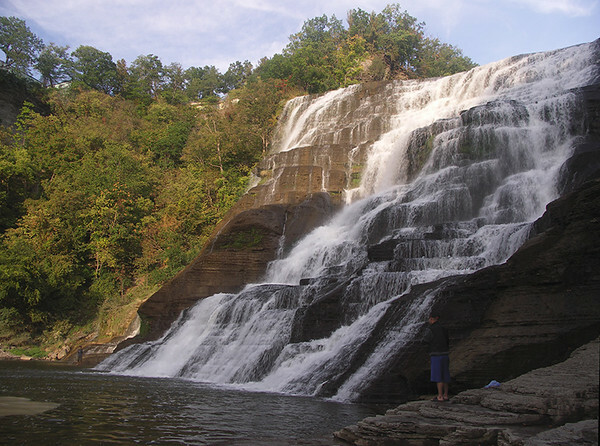 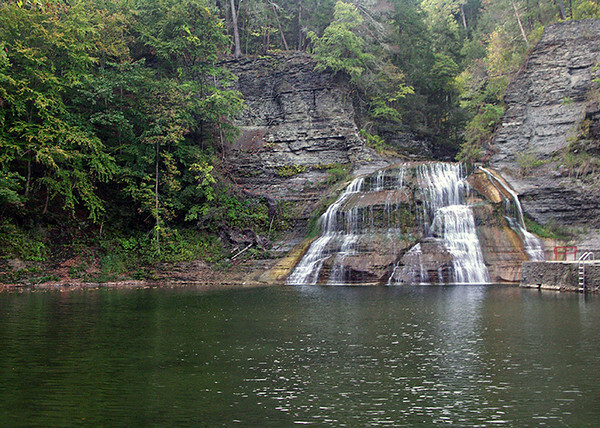 Several people had indicated that Buttermilk Falls (with its swimming area beneath the falls) was their favorite nearby waterfall. 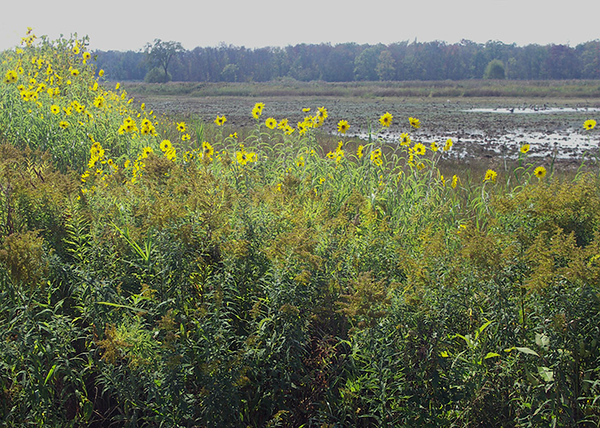 However, due to a drought, it was almost non-existent. 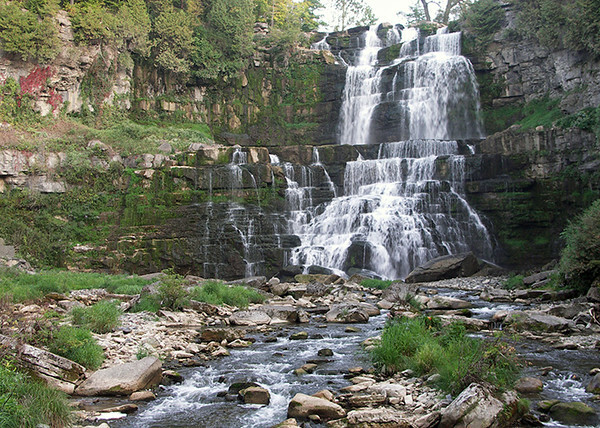 I did not hike to Taughanock Falls but was able to view it from a distance, unfortunately facing the sun! 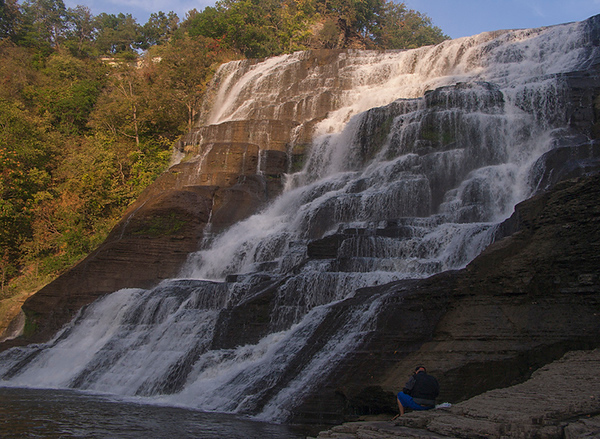 I viewed Taughanock Falls from a distance, unfortunately facing the sun. 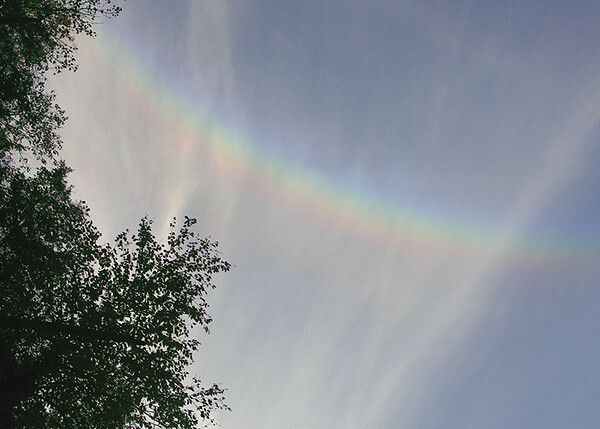 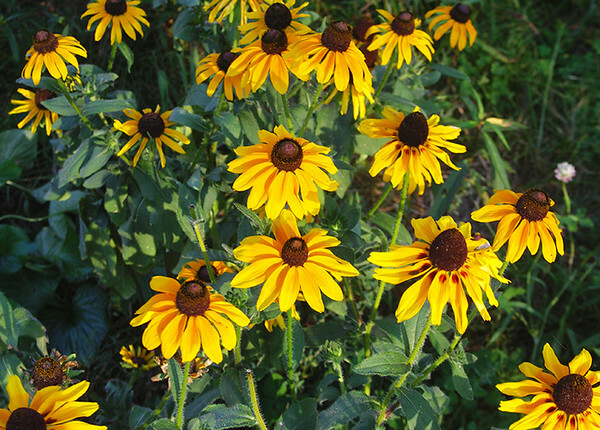 It was 90 degrees and humid in late September! 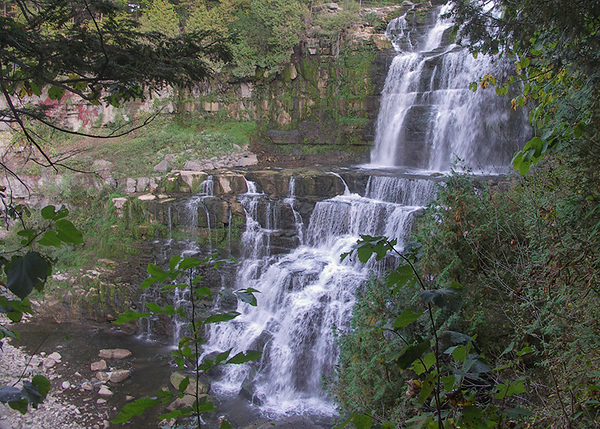 Enfield Falls was the only one I visited in Robert Tremain state park. 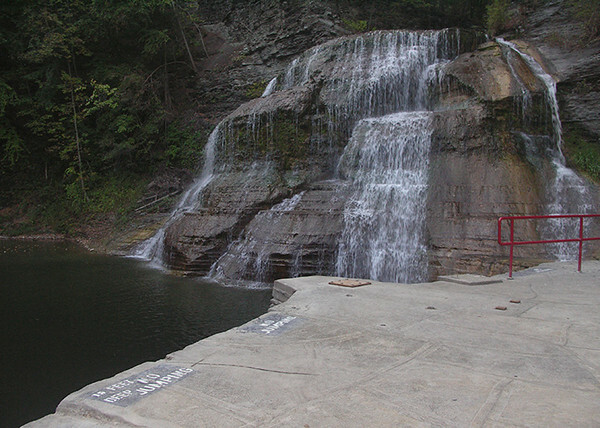 In the summer, swimming is allowed at Enfield Falls. 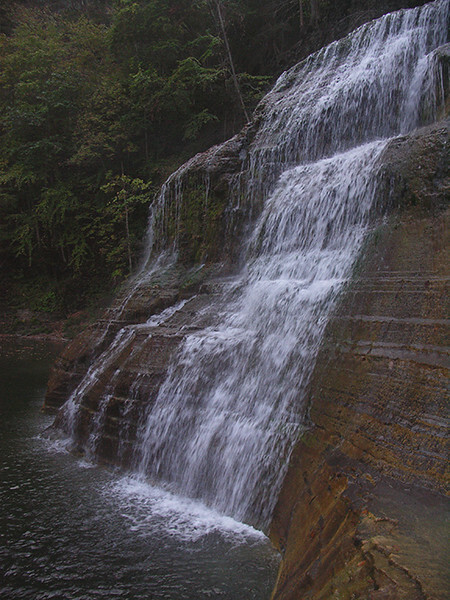 However when I arrived there, the young people leaving were dripping wet and carrying towels! 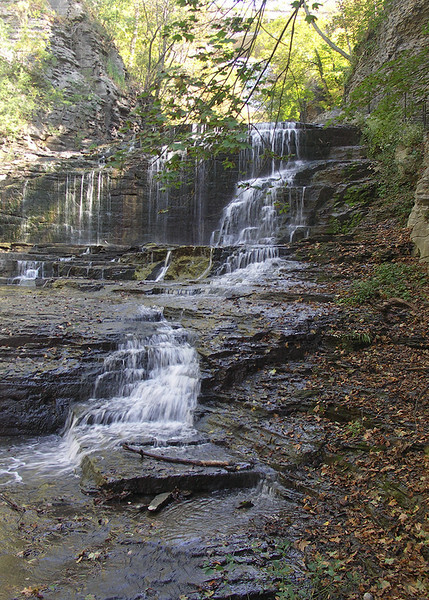 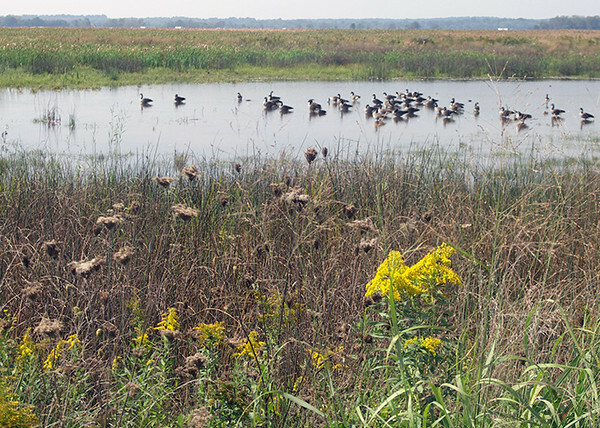 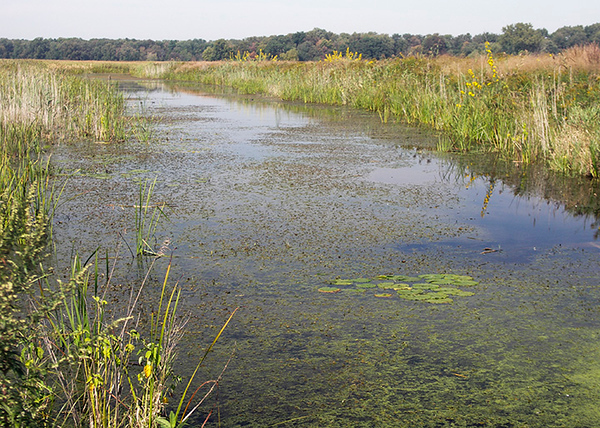 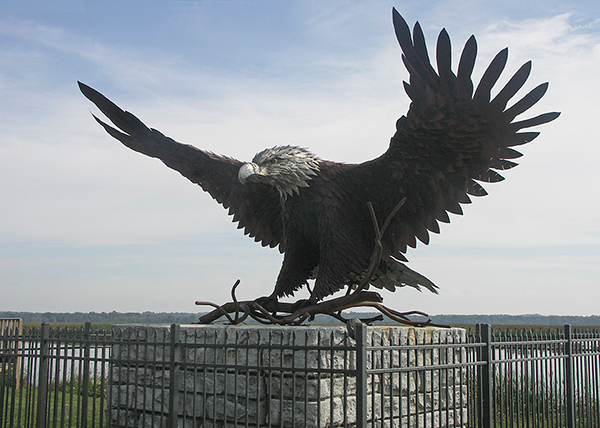 No waterfall here, but I did do the mile drive through the refuge while at the north end of Cayuga Lake.